This helmet pattern was designed for the Metropolitan Army of Portugal, and was intended for use in Europe. 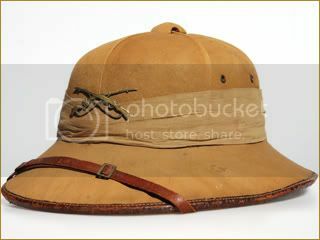 However, this model did see service in Africa, where these doubled as "sun helmets." 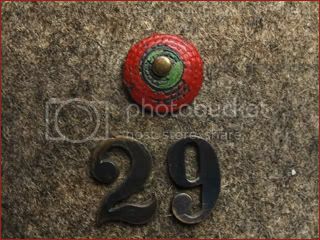 This pattern is a Metropolitan army other ranks helmet, and this example is marked to the 29th infantry regiment. There were produced by a firm in Porto, called "Costa Brage & Fihos", and the firm logo is on the weat band. 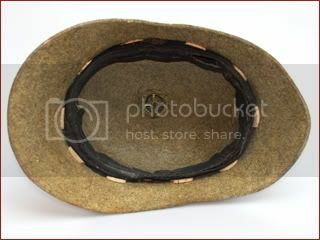 This example also bears the first model leather "rosette" on the front rather than the metal ones. 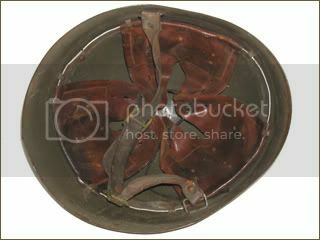 This lightweight helmet was designed by British Major J. MacIntosh and produced in Birmingham, England. 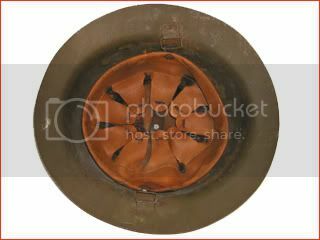 The corrugated bowl design was possibly to deflect bullets but this is unknown for certain. 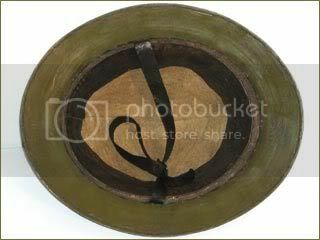 These helmets proved ineffective in the trenches and the British sold large quantities to Portugal. 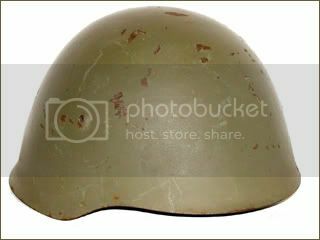 These were originally painted a gray-blue color but these helmets often were repainted green for service in the post-war years. This design was based on the British MkI. 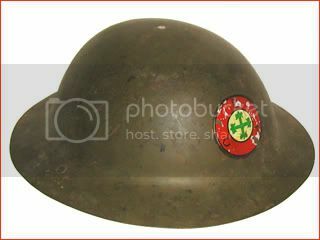 These helmets were used by Portugal into the 1930s, thus this particular example features the later liner that likely replaced the old British style version. 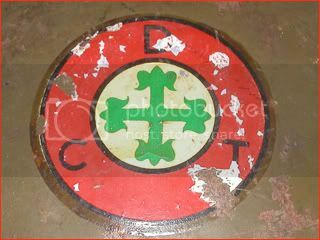 Likewise this helmet features the transfer of the Defensa Civil Territorial. 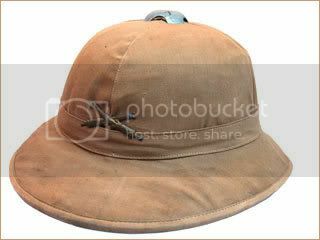 Introduced in 1940 this helmet design is similar to the Spanish Model 1926 steel helmet as well as Japanese Kobe helmet from the early 1930s. This helmet was modified in 1963 with a new model liner. 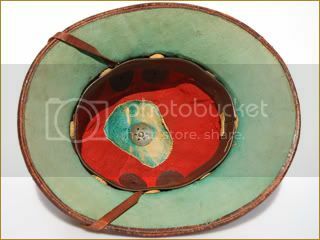 Throughout its long history as a colonial power the Portuguese used a variety of patterns of sun helmets. 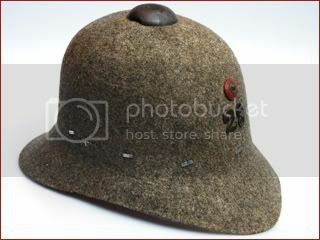 This version is made of cork, and has the basic shape of the French Model 1931 helmet. 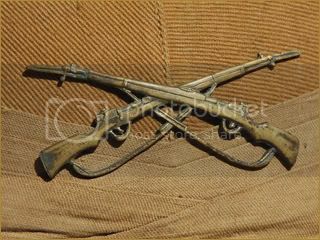 The crossed rifles were adopted for infantry (officers: silver; ORs: brass) from 1911 to 1933. 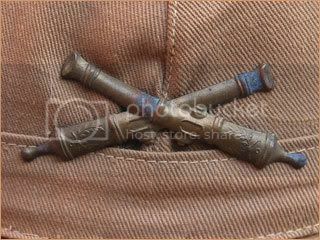 In 1933, they were "given" bayonets and worn that way till 1948 (officers: silver; ORs brass). 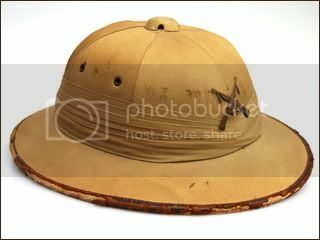 A French-made Model 1931 sun helmet used by the Portugese artillery, from the late colonial era with the insignia for artillery enlisted men. 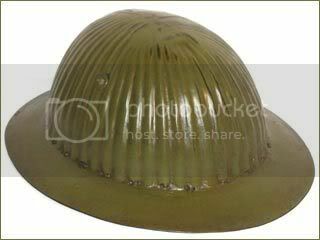 A latter pattern of the Portugues sun helmet for officers. 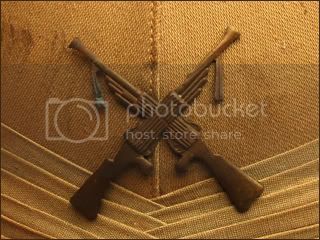 In 1948, the crossed machine guns, which were previously worn as "skill" badges by light machine gun crews were adopted as headdress badges for Infantry officers and were worn that way till after the end of the colonial war (1974).